Innovative, proven, reliable & trusted. Our capacitors have been used in F1 by Mercedes HPC. Our capacitors are used by CERN on the large hadron collider (LHC). Our capacitors help power all Eurostar cars. Our capacitors are used in the Royal Navy's electric propulsion drives. 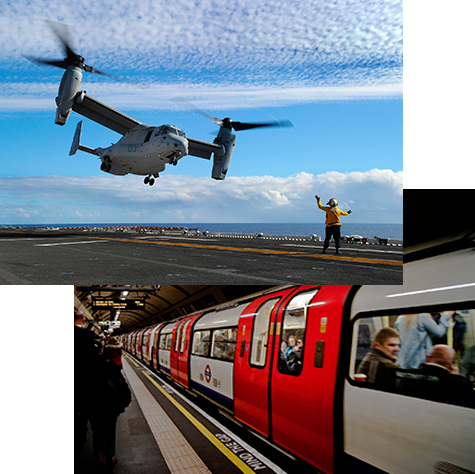 Our capacitors have kept trains running on London's Underground for 25 years. API Capacitors is the UK’s leading designer and manufacturer of high quality power capacitors for power electronic applications. Our extensive product range of filter capacitors, snubber capacitors and energy storage capacitors service the professional markets of rail traction, industrial drives, power conditioning and avionics, together with discharge capacitors for medical, plasma and pulsed power applications. The strength of the company lies in working alongside its customers, tailoring the product correctly to its specific application so it performs exactly as required with total reliability.